This time, I decided to use the word itself to show the meaning. Somethin’ seasonal. 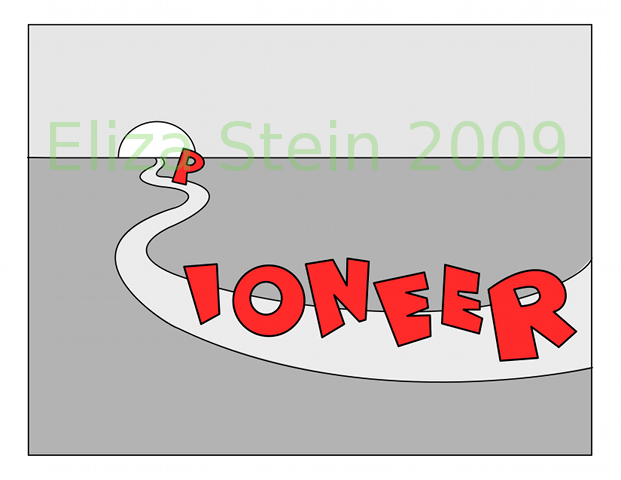 I had another idea for this week’s word, but I didn’t take it beyond a thumbnail sketch yet. Maybe I’ll post it later, because it’s kinda funny. Assorted health problems kept me from doing anything over the last week and a half, so it feels good to be drawing again. This started out as a Christmas card for my friend’s little brother: before I gave it to him I traced it in Inkscape and added color. 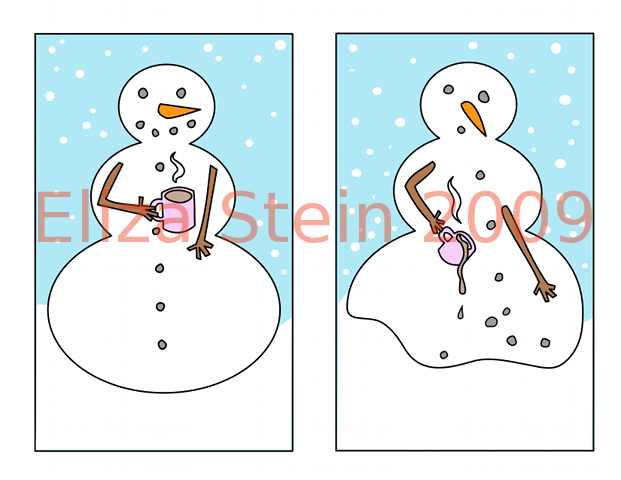 If I was a snowman I’d never smile because I could never enjoy another hot beverage, i.e. coffee. 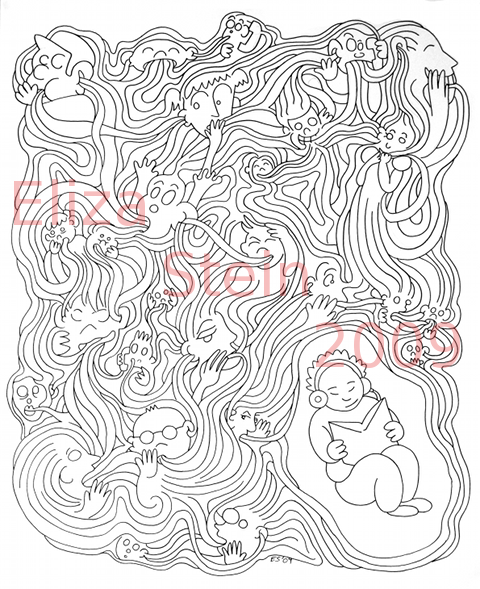 My favorite illustration project I’ve done so far was a series of mazes for an activity book. I might turn this into a functional maze some day. I love Illustration Friday, but on a Monday this is what I really want to see.